A clinical trial recently showed that nearly half of individuals with type 2 diabetes achieved remission to a non-diabetic state after a weight-loss intervention delivered within 6 years of diagnosis. Now a study published August 2nd in the journal Cell Metabolism reveals that this successful response to weight loss is associated with the early and sustained improvement in the functioning of pancreatic beta cells. This finding challenges the previous paradigm that beta-cell function is irreversibly lost in patients with type 2 diabetes. ...continue reading "Type 2 Diabetes May Be Reversed With Weight Loss"
So you finally lost weight by diligently dieting, but now the issue is how to keep the weight from creeping back up again. Keeping strict watch over what you eat (basically continuing to diet)? Or exercising? Or...? Another issue muddying the waters is that a big weight loss also lowers the metabolism rate - something that occurred to former participants of the reality TV show The Biggest Loser. They lost enormous amounts of weight during the 30 week competition (over 100 pounds on average), but 6 years later much of the weight was regained, and they were burning hundreds fewer calories each day at rest. So they had become metabolically much slower over time. Persistent increased physical activity is likely essential for long-term maintenance of weight loss, new research from participants in the US TV reality show The Biggest Loser suggests.... Using objective measures for both energy intake and physical activity in 14 former Biggest Loser contestants 6 years after they participated in the competition, Dr Kerns and colleagues found that those who had regained the least weight were the most active, and vice versa. Food intake, on the other hand, had very little effect on long-term weight-loss maintenance. Asked to comment, Eric Ravussin, PhD, Boyd Professor at Louisiana State University, Baton Rouge, and coeditor of Obesity, told Medscape Medical News that the data align with those of follow-ups to major trials — including the Diabetes Prevention Program and the Action for Health Diabetes (Look AHEAD) study as well as with the National Weight Control Registry — of thousands of people who have lost at least 30 pounds and kept them off for at least a year. "The successful losers…all report high levels of physical activity" for weight maintenance, in contrast to weight loss, for which caloric deficit plays a far greater role, Dr Ravussin noted. The reason for the difference between what works for weight loss vs maintenance, he said, probably has a lot to do with metabolic adaptation. This was the subject of another Biggest Loser paper published in Obesity in 2016, in which a person's metabolism slows down in response to a large drop in weight, making weight-loss maintenance difficult without an extra "push" from exercise, he explained. The subjects in the new study were 14 participants with class III obesity who participated in a single season of The Biggest Loser, during which they underwent an intensive 30-week diet and exercise program and lost an average of 60 kg. Most regained weight after the program ended, although the degree of regain was highly variable. The median weight loss after 6 years was 13%. Seven subjects above the median weighed 24.9% less than baseline (maintainers) while the seven below the line (regainers) weighed 1.1% above their baseline. The maintainers had significantly greater increases in physical activity from baseline compared with the regainers..... that 35 minutes a day of intensive exercise, or 80 minutes of moderate activity, would roughly approximate the calorie expenditures among the maintainers. Exercise by itself isn't always enough to take off the weight. 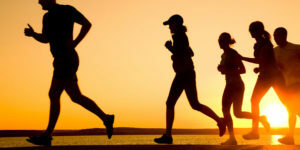 Now, evidence reported in the Cell Press journal Current Biology on January 28 helps to explain why that is: our bodies adapt to higher activity levels, so that people don't necessarily burn extra calories even if they exercise more. Pontzer says this really hit home for him when he was working among the Hadza, a population of traditional hunter-gatherers in northern Tanzania. "The Hadza are incredibly active, walking long distances each day and doing a lot of hard physical work as part of their everyday life," Pontzer says. "Despite these high activity levels, we found that they had similar daily energy expenditures to people living more sedentary, modernized lifestyles in the United States and Europe. 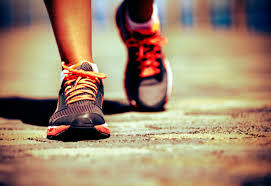 That was a real surprise, and it got me thinking about the link between activity and energy expenditure." To explore this question further in the new study, Pontzer and his colleagues measured the daily energy expenditure and activity levels of more than 300 men and women over the course of a week.In the data they collected, they saw a weak but measurable effect of physical activity on daily energy expenditure. But, further analysis showed that this pattern only held among subjects on the lower half of the physical activity spectrum. People with moderate activity levels had somewhat higher daily energy expenditures—about 200 calories higher—than the most sedentary people. But people who fell above moderate activity levels saw no effect of their extra work in terms of energy expenditure. "The most physically active people expended the same amount of calories each day as people who were only moderately active," Pontzer says. Could a Big Weight Loss Prevent Some Cancers? Author SimaPublished on October 16, 2015 October 16, 2015 Leave a comment on Could a Big Weight Loss Prevent Some Cancers? A study evaluating the effects of bariatric surgery on obese women most at risk for cancer has found that the weight-loss surgery slashed participants' weight by a third and eliminated precancerous uterine growths in those that had them. Other effects included improving patients' physical quality of life, improving their insulin levels and ability to use glucose - which may reduce their risk for diabetes - and even altering the composition of their gut bacteria. The study speaks both to the benefits of bariatric surgery and to the tremendous toll obesity takes on health. "If you look at cancers in women, about a fifth of all cancer deaths would be prevented if we had women at normal body weight in the U.S.," said Susan C. Modesitt, MD, of the University of Virginia Cancer Center. "When you're looking at obesity-related cancers, the biggest one is endometrial cancer, but also colon cancer, breast cancer, renal cancer and gall bladder cancer. We think about 40 [percent] to 50 percent of all endometrial cancer, which is in the lining of the uterus, is caused by obesity." The study looked at 71 women with a mean age of 44.2 years and a mean body mass index (BMI) of 50.9. Women are considered obese at a BMI of 30 and morbidly obese at 40 (which is typically about 100 pounds over a woman's ideal body weight). The study looked at the effects of bariatric surgery in a relatively short time frame, one to three years after surgery. A total of 68 participants underwent the procedure; two opted out of the surgery, and another died of a heart condition prior to surgery. The effects of surgery on body weight were dramatic: Mean weight loss was more than 100 pounds. Ten percent of study participants who had not had a hysterectomy showed precancerous changes in the lining of the uterus, and all of those resolved with weight loss. "We're talking about small numbers, really tiny numbers" of study participants, Modesitt said, noting one limitation of the study. "So I could never say that effect is definitive, but it is suggestive, given that we know already the incredibly strong link between endometrial cancer and obesity." Modesitt, of the UVA's Division of Gynecologic Oncology in the Department of Obstetrics and Gynecology, was most surprised by the dramatic changes seen in the patients' metabolic profiles derived from the gut microbiome, the population of microorganisms living inside us. "The study results demonstrate that there is a huge alteration, but I don't even know what to say about that, except it is really new and intriguing area to look at in the link between obesity and cancer. Published on October 16, 2015 October 16, 2015 Categories cancer, healthy living, human microbiomeTags bariatric surgery, endometrial cancer, precancerous uterine growths, weight loss, weight loss surgeryLeave a comment on Could a Big Weight Loss Prevent Some Cancers? Beware of big soda companies bearing gifts to scientists and their misleading messages to consumers. This time it is Coca-Cola that is trying to influence the research by funding scientists who shift blame for obesity to lack of exercise.There is a large body of evidence finding that what you eat is very important for health and weight control, and this does not mean a diet filled with highly processed foods, including soda. Coca-Cola, the world’s largest producer of sugary beverages, is backing a new “science-based” solution to the obesity crisis: To maintain a healthy weight, get more exercise and worry less about cutting calories.The beverage giant has teamed up with influential scientists who are advancing this message in medical journals, at conferences and through social media. To help the scientists get the word out, Coke has provided financial and logistical support to a new nonprofit organization called the Global Energy Balance Network, which promotes the argument that weight-conscious Americans are overly fixated on how much they eat and drink while not paying enough attention to exercise. 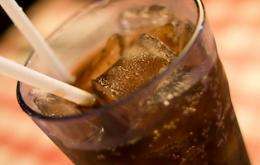 ...continue reading "Ignore Big Soda’s Message"
The first comprehensive study of its kind finds weight cycling, repeated cycles of intentional weight loss followed by regain, was not associated with overall risk of cancer in men or women. The study by American Cancer Society investigators is the largest to date to investigate weight cycling with cancer risk....Weight cycling was also not associated with any individual cancer investigated. 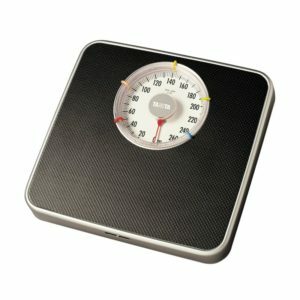 The authors of the study say people trying to lose weight should be encouraged to do so even though they may regain it. With almost half of American adults reporting they are trying to lose weight, and with most weight loss not maintained, weight cycling is very common. Previous studies in animals and humans had suggested that weight cycling may affect biological processes that could lead to cancer, such as increased T-cell accumulation, enhanced inflammatory responses in adipose tissue, and lowered natural killer cell cytotoxicity. However, many of these findings have not been replicated, and at least two previous studies showed no associations between weight cycling and cancer. For the latest study, researchers led by Victoria Stevens, PhD, American Cancer Society Strategic Director, Laboratory Services, examined weight cycling and cancer among more than 132,000 men and women enrolled in the Cancer Prevention Study II Nutrition Cohort. Begun in 1992/1993, the Nutrition Cohort gathered detailed dietary information from men and women ages 50 to 74 participating in the Society's larger Cancer Prevention Study II, to explore nutrition's effect on and cancer incidence and mortality. Investigators looked at weight cycling and incidence for all cancer and 15 individual cancers. More than 25,000 participants developed cancer during 17 years of study. Gaining a few pounds can increase blood pressure in healthy adults, researchers report. Increased fat inside the abdomen led to even larger increases in blood pressure, their study results showed. Many people understand the health dangers of large amounts of extra body weight, but researchers in this study wanted to see the impact of a small weight gain of about five to 11 pounds. At the beginning of the eight-week study, a 24-hour monitor tested the blood pressure of 16 normal weight people. Their results were compared to 10 normal weight, healthy people who maintained the same weight over the eight weeks. Researchers found: -Those who gained weight had a systolic blood pressure (top number) increase from an average 114 mm Hg to an average 118 mm Hg. -Those who gained more weight inside their abdomen had a greater blood pressure increase. -A five to 11 pound weight gain didn't change cholesterol, insulin or blood sugar levels. The study was conducted in healthy people ages 18-48. Restricting calories may improve sleep apnea and reduce blood pressure in obese adults. Those who restricted their calories had higher levels of oxygen in their blood and a greater reduction in body weight, a study has demonstrated. "Losing weight was most likely the key to all the benefits observed in the calorie-restricted group. A greater reduction in systolic blood pressure can be explained, at least partially, by the reduction in body weight that was associated with reduction in obstructive sleep apnea severity and sympathetic nervous system activity." Systolic blood pressure is the top number in a blood pressure reading, which measures the force of the blood in the arteries when the heart is contracted. In an analysis of data from nearly 50 trials including about 7,300 individuals, significant weight loss was observed with any low-carbohydrate or low-fat diet, with weight loss differences between diet programs small, findings that support the practice of recommending any diet that a patient will adhere to in order to lose weight. Bradley C. Johnston, Ph.D., of the Hospital for Sick Children Research Institute, Toronto, and McMaster University, Hamilton, Ontario, and colleagues conducted a meta-analysis to assess the relative effectiveness of different popular diets in improving weight loss. The meta-analysis included 59 articles that reported 48 randomized clinical trials (7,286 individuals; median age, 46 years; median weight, 207.5 lbs.). In the diet-class analysis adjusted for exercise and behavioral support, all treatments were superior to no diet at 6-month follow-up. Compared with no diet, low-carbohydrate diets had a median difference in weight loss of 19.2 lbs. and low-fat diets had similar estimated effects (17.6 lbs.). At 12-month follow-up, the estimated average weight losses of all diet classes compared with no diet were approximately 2.2 to 4.4 lbs. less than after 6-month follow-up. The diet classes of low fat (16 lbs.) and low carbohydrate (16 lbs.) continued to have the largest estimated treatment effects. Weight loss differences between individual diets were minimal. "Our findings should be reassuring to clinicians and the public that there is no need for a one-size-fits­ all approach to dieting because many different diets appear to offer considerable weight loss benefits. At six month follow-up, people on low-carbohydrate diets lost 19 more pounds than those who were not on a diet, while those on low-fat diets lost 17 more pounds than those on no diet. After 12 months about two to three pounds of that difference was gone, and there was no difference between low-carbohydrate and low-fat diets. Behavioural support in a diet made a difference at six months, enhancing weight loss by about seven pounds, while exercise was significant at 12 months, improving weight loss by about four and half pounds.